NYC Immigration Lawyers, Naturalization, Green Cards, Deportation Defense, Brooklyn, New York - How Do I Appeal The Denial Of My Petition Or Application? » How Do I Appeal The Denial Of My Petition Or Application? 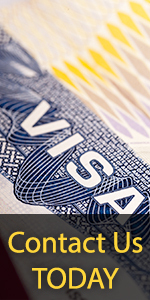 When an immigration petition or application is denied or revoked by the USCIS, that decision may, in most cases, be appealed to a higher authority for review. In immigration proceedings, the appellate review authority is divided between two separate government agencies: the Administrative Appeals Office (AAO) within the USCIS, and the Board of Immigration Appeals (BIA), under the jurisdiction of the Executive Office of Immigration Review, United States Department of Justice. If a petition or application is denied or revoked, you should carefully review the written decision that is issued by the USCIS. The notice will inform you of the reasons for the decision, notify you of the proper appellate jurisdiction and the applicable deadlines, and provide you with the correct USCIS form to file an appeal. · Administrative Appeals Office: How do I Appeal the Denial of My Petition or Application?